Book before 30 April 2019 and enjoy a FREE Aurora Camp on departures between 01 September 2019 and 31 March 2020. T&Cs apply. If you are serious about seeing the Northern Lights then you've come to one of the best places in the world to make your dream come true. There's a certain magic at work here. 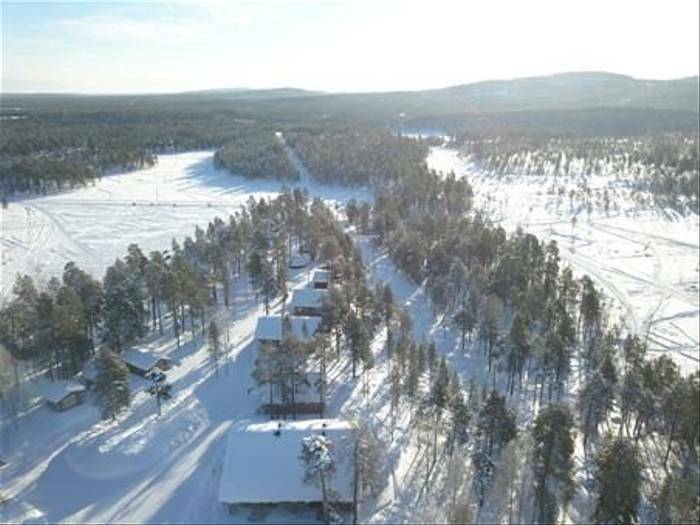 During the day, the wide expanses of frozen Lake Inari and the winter forests provide a beautiful snowy playground and by night, the magic and mysticism are even more pronounced. 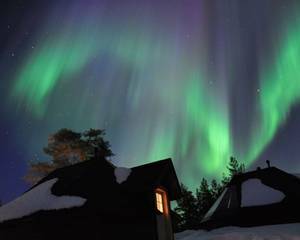 From our Aurora Camp on Lake Inari, you can gaze upon a sky filled with stars and, conditions being favourable, the Aurora Borealis. 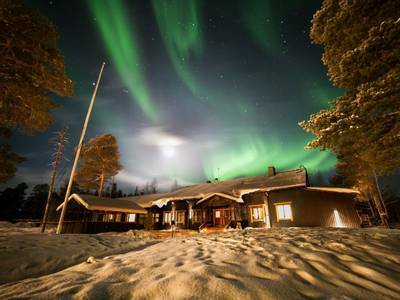 Our Northern Lights over Lake Inari trip is one of our most-loved holidays. With its exciting and varied winter activities, remote location and dedicated night-time Aurora hunts, it’s very easy to see why. In the far northeast corner of Finland, close to the Russian border, the tiny village of Nellim's remote location ensures not only an incredibly scenic wilderness setting for your trip but also fantastic Aurora potential. 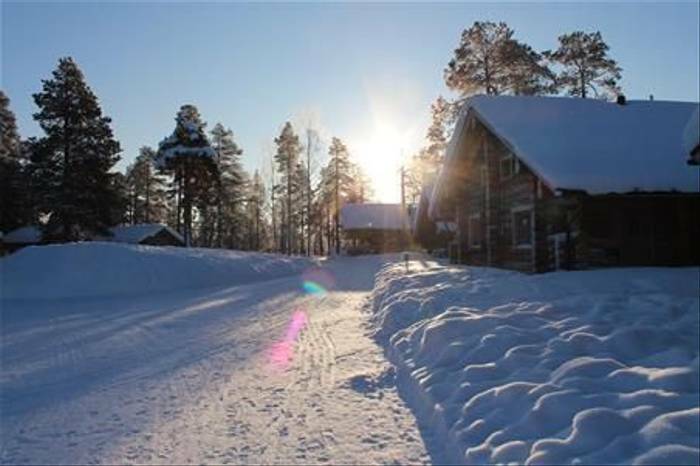 The warm and welcoming Wilderness Hotel Nellim is located close to the shore of Lake Inari and the lake’s frozen surface provides an ideal Aurora viewing spot. The hotel also has incredible Aurora Bubbles and Aurora Kotas on-site and guests can upgrade to spend the night in these, gazing directly at the Arctic sky from the comfort of their bed. 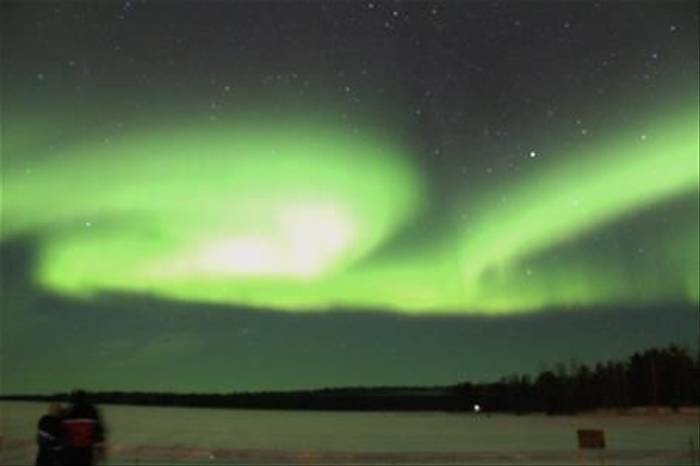 On two of your evenings, you will travel to one of Nellim's Aurora Camps. They have several at their disposal, all situated in locations chosen to maximise your chances of seeing the Aurora, with their clear views of the night sky. 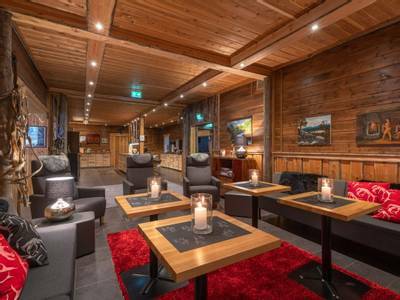 Here you can warm yourself by the fire and enjoy a hot drink as you wait for a potential Northern Lights display to light up the sky. Another of your nights will be spent on an Aurora snowshoe hike where you can really appreciate the silence and beauty of the surroundings as you walk along snowy trails and look up at the night sky. Whilst the evening excursions are undoubtedly a highlight of this holiday, the days are also filled with some wonderful activities which showcase this remarkable region. 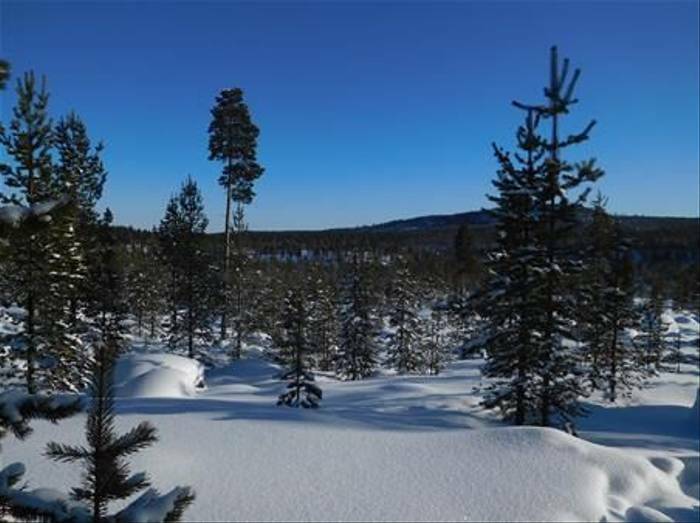 You will drive a snowmobile along snowy trails, enjoy a morning with a reindeer herder where you will gain an insight into the importance of these animals to this region and take on a husky safari across the lake, as you guide a team of eager dogs through this spectacular landscape. Nellim is where four of us here at The Aurora Zone, on separate occasions, got our first glimpse of the Northern Lights and so it holds a very special place in our hearts. There is something about it, with its warm hospitality, beautiful scenery and very knowledgeable guides that make it a very special place indeed. This, in combination with its almost total lack of light pollution and array of Aurora watching locations, makes it an ideal destination for a Northern Lights holiday. Please note that the activities outlined will all be included in your holiday, however, the order of activities listed here is for guidance only, and your final timetable will be confirmed on arrival. 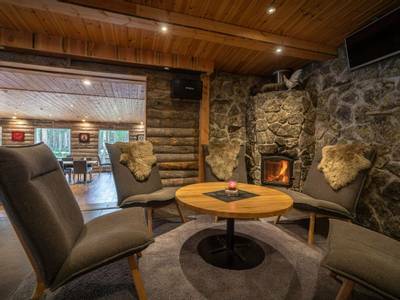 Upon arrival at the airport, you will be welcomed and transferred* directly to Wilderness Hotel Nellim in the northeast corner of Finland, just nine kilometres from the Russian border. You can check in and then a hearty dinner will be served in the hotel’s main restaurant. Before heading to bed, you may want to take a wander down to the edge of Lake Inari, as this is a prime Aurora spot! The beauty of Nellim’s remote location is that there is almost no light pollution, so you don’t need to go far at all if the skies are clear and conditions are favourable. On one of your nights you may choose to upgrade your accommodation to one of the spectacular Aurora Bubbles or Aurora Kotas at Nellim, or perhaps you may like to treat yourselves to a heated Aurora sleigh ride this evening – see the ‘Personalise’ section for full details. The order of activities listed in this agenda is provided for guidance only, your final itinerary will be provided on arrival at your accommodation. On your first morning at Nellim, you will see that this is a location that is not just about the Aurora and evening activities. 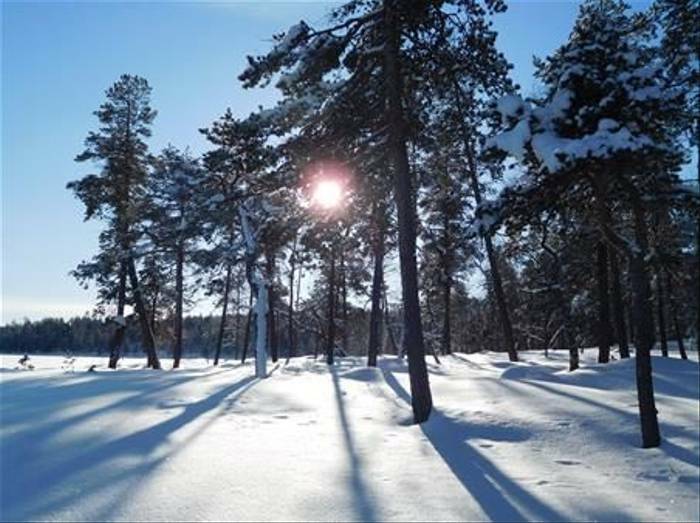 During the day, it is a remarkably beautiful part of the world with dazzling frozen lakes, fells and forests blanketed in snow. After breakfast this morning, you will head out with your guide into the wilderness as you explore on snowmobiles. 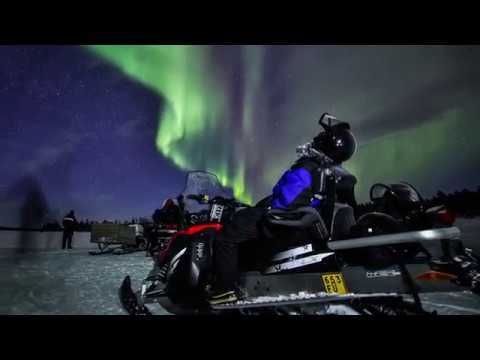 This is an ideal snowmobile try-out session, which is a great way to get the hang of these exciting machines. Your guide will give you a full safety briefing and a driving lesson before you head out along the local trails exploring your new surroundings. You will ride two per snowmobile and you can swap drivers during the safari if both of you hold a full driving licence (you must also be over 18 to drive a snowmobile). The activity lasts around two hours in total. Lunch will be served back at the hotel. 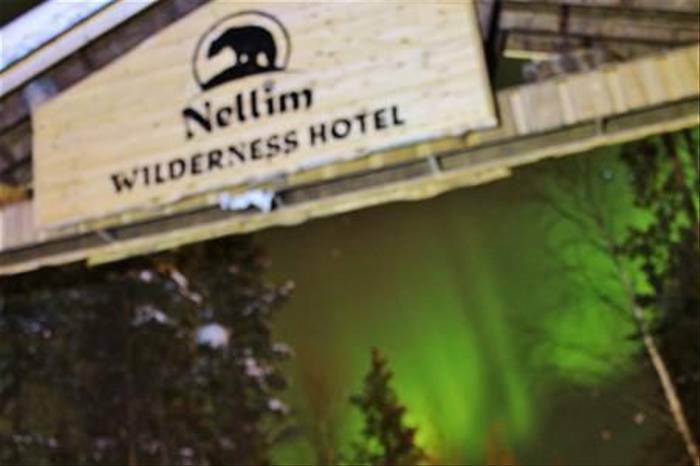 This evening, after dinner, you will make your first journey to one of Nellim's Aurora Camps, travelling there by a snowmobile-pulled sleigh. The camps are situated in carefully chosen spots, which offer magnificent views of the night sky. Your guide will prepare a fire and as a group, you will gather around and enjoy hot drinks as you watch the skies for a potential Aurora display. 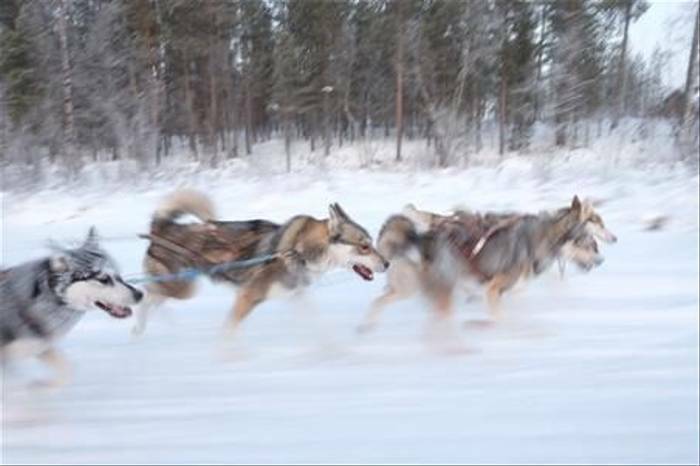 Today you will enjoy one of the highlights of any trip to Lapland as you take control of a team of eager huskies. The husky kennels are just a short distance from the hotel and before setting you’re your experienced musher guide will give you all a safety briefing and full instructions. You will travel two people per sled (with the chance to swap places and each drive the dog team) as your dogs pull you over frozen lakes and through snow-covered forests. There is not much that can compare with travelling in such a time-honoured fashion. You will be out on the trail for around 1.5 hours and there will be time for you to take photos with the dogs on your return to the kennels. Following the husky safari, you will enjoy lunch back at the hotel. 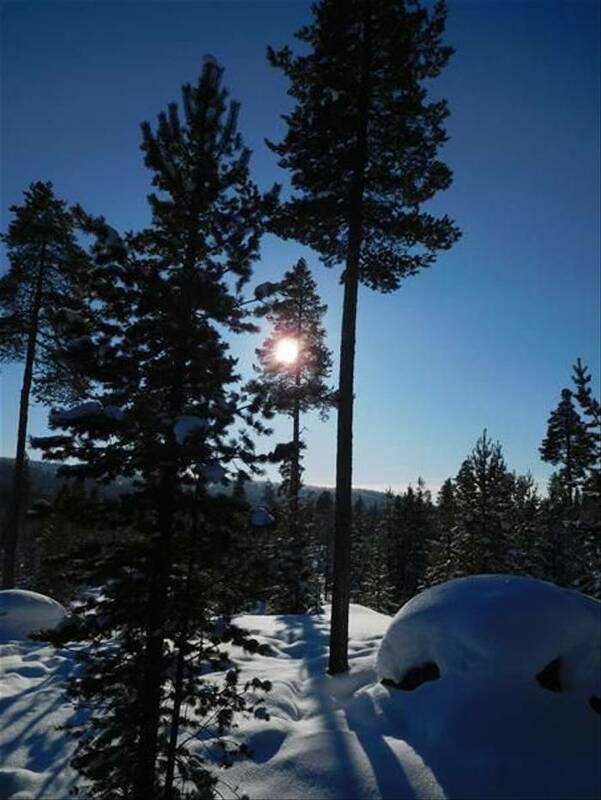 This afternoon you will have some free time to either relax or perhaps explore independently by hiring some cross-country skis or snowshoes. Marked trails start from the hotel and the reception team can provide you with a map (see the ‘personalise section for details). Additional activities may also be available locally. After dinner, you will head back out into the wilderness, but this time equipped with snowshoes. Snowshoes help you walk through the deep snow so you can admire the peaceful surroundings as you make your way towards an excellent Aurora viewpoint. 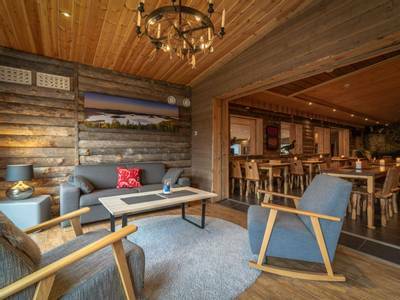 Here you will enjoy warm drinks as you look up at the night sky where hopefully, if conditions are favourable, the Northern Lights will make an appearance. Today you will meet with a reindeer herder at their local farm. You will encounter the animals and discuss their importance with the herder. They will talk to you about the lives of the reindeer and you will also have a chance to feed the animals. Before heading back to the hotel for lunch, you will visit the remarkable log church in the village, which is famous all over Lapland. Following dinner tonight, you will head out to your final Aurora Camp with your guide and hopefully, an Aurora-filled night sky will conclude your holiday. Today you will transfer for your return flights home. If you are departing on an early flight then a boxed breakfast will be provided for you to take with you. Each Kota contains a double bed and being a bit larger than an Aurora Bubble, it has room for a third person on a sofa bed. 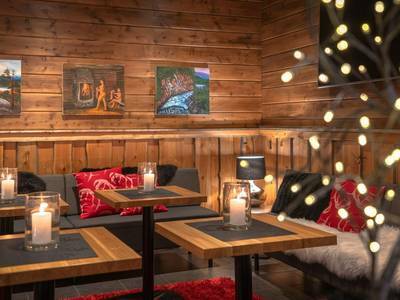 The 18m² space has simple and inviting décor, as well as pleasant lighting which illuminates the area without disrupting aurora-watching experiences. Linking to their natural setting, the majority of the Kotas do not have a shower- even so, each includes a toilet and small sink. 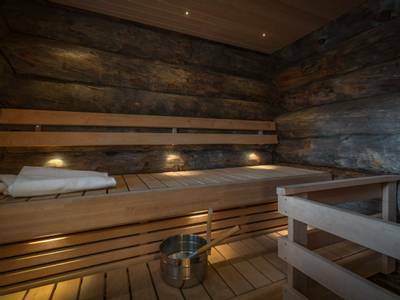 At Nellim there are also two Aurora Cabins which have a shower and are slightly larger at 29 m². What a concept this is! These bubbles represent the absolute pinnacle in the increasingly sophisticated search for the Northern Lights. Essentially, the Aurora Bubble brings the Arctic wilderness and the night sky into the comfort of your own bedroom. Each bubble has a heated bedroom with a large north-facing dome window, allowing you to gaze at the firmament from the comfort of your own bed!! This is Aurora hunting in style. The bubbles are located in an area of minimal light pollution but within walking distance of the hotel should you wish to return to your room during the night. We can't imagine that you will as there is a toilet which means there is no need whatsoever to leave your comfortable bubble during the night. Of course, we can neither guarantee that the Northern Lights will appear nor can we ensure cloud-free skies because Aurora hunting will always carry an element of luck. What we do know is that the Aurora Bubbles represent a genuinely unique and memorable experience. 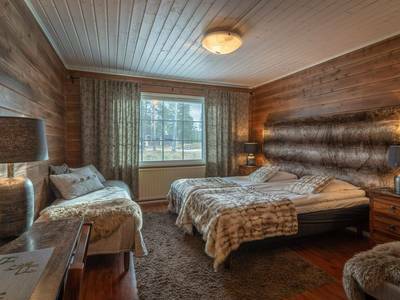 The wonderful Jouko and Mari at Nellim have once again come up with an innovation in Aurora hunting, ensuring that guests are in total comfort throughout. 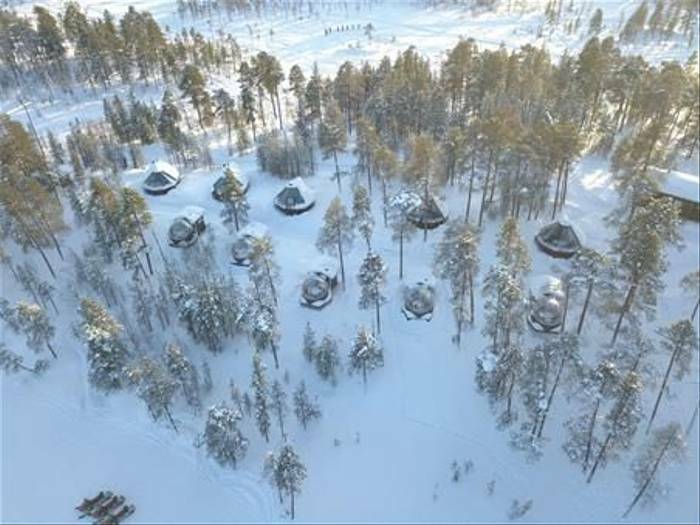 They have created a heated Aurora sleigh: a private, intimate and toasty warm experience that has been thrilling visitors to Nellim during the winter. This is the way to travel in the Arctic! Climb into your private Aurora-viewing cocoon which will be pulled behind a snowmobile driven by a local guide. 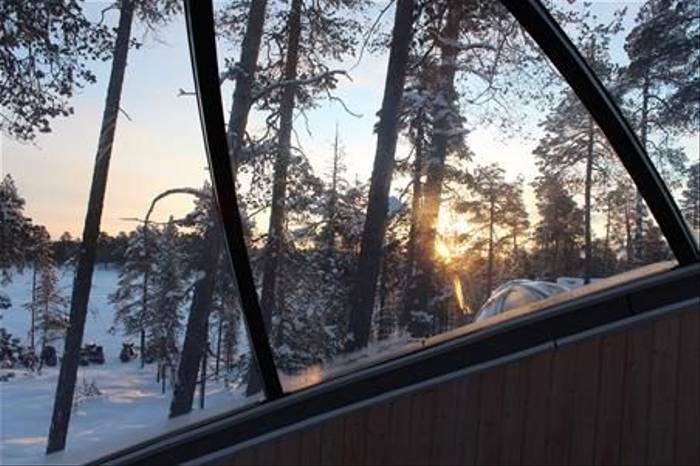 The sleigh has large transparent windows to the front, back and, most importantly upwards, hence providing a fantastic view of the night sky. As they are heated, it could be -30C outside and you will be reclined in comfort hopefully gazing at the fabulous Northern Lights. 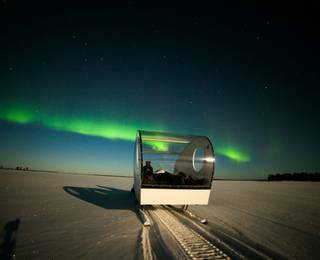 This safari lasts about two and a half hours (departing around 8 pm) and takes you onto the frozen expanses of mystical Lake Inari some 250km north of the Arctic Circle in prime Aurora hunting territory. Your English-speaking guide will take you to some of the best vantage points where you can choose to get out (or not! ), take photos and walk on the ice. You will also be served warm drinks. We cannot guarantee that the Aurora Borealis will come out to play but regardless, the Aurora Sleigh is a fantastic way to experience the Arctic in the dead of night. Unsurprisingly the sleigh rides have seen many marriage proposals over the past months and for anyone thinking about popping the question, this is a very stylish way in which to do it – sadly we cannot guarantee the answer, but this setting should give you an excellent chance! Minimum 8 people, maximum 20. Would definitely recommend, wonderful experience and we saw the lights. Many thanks!! The lights evening was just amazing. Husky driving quite an experience and dogs lovely and friendly. So delighted! It was the culmination of many years of waiting and putting off but delivered spectacularly! Thank you I had a wonderful time. Everything was excellent and the guides were very knowledgeable and made everything so interesting. Read more eat too much meat, and we did overhear some people comment on this - it would have been nice to have the option for a vegetarian main meal on a couple of evenings. We loved the husky safari - a lot of fun and a beautiful day for it. The scenery was spectacular. We got back last night. This morning at 6am I was back on the Aurora Zone website getting excited about going back. It was the most incredible four days. We had temperatures down to -36 but guides didn't even hesitate - they made us feel totally safe and they seemed to genuinely love what they were doing. That was totally contagious. Also, seeing the Northern Lights three times was a dream come true. Thank you. We had the absolute time of our life. FANTASTIC credit to the local teams who were extremely enthusiastic about their work and the Aurora Borealis. Snowmobile days out and husky were so much fun and gives you chance to fully see the scenery which was spectacular. All staff at Nellim were first class and Hannabella was very helpfull. Good accommodation, friendly staff at the hotel, knowledgeable and fun guides and everything went seamlessly. 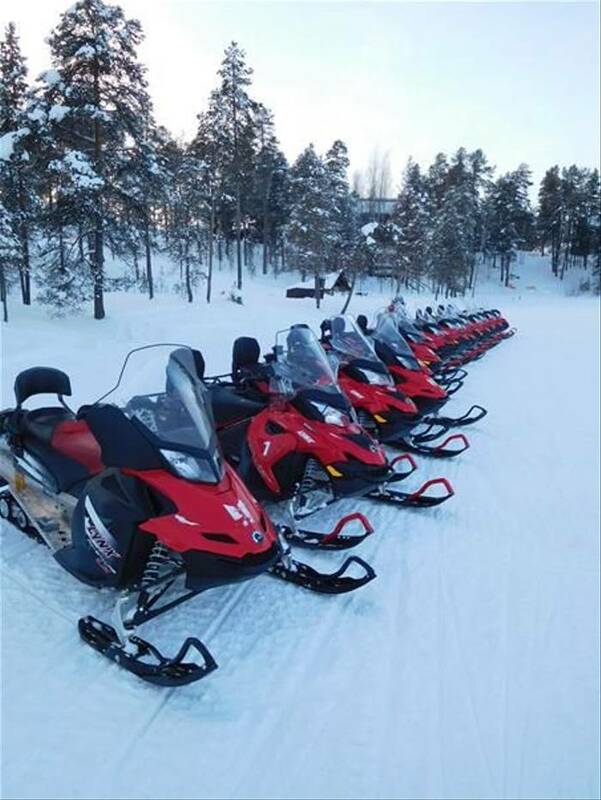 Aside from the obvious (seeing the Aurora Borealis) we enjoyed the snowmobiling the most but all the activities were enjoyable, the guides were very interactive and helpful, everybody in the groups just got along. Loved all the activities, especially nice to be kept with the same group of people for each activity. Especially enjoyed the huskies and the 'fire making' competitions between the guides! Feel extremely lucky not only to have seen the Aurora but the blood moon and fantastic sunrise as well. Guides were very friendly and well informed, accommodation clean and well presented and food excellent. Excellent trip all round. Expensive but real value for money. Thanks you very much indeed! Read more full of passion for her job and her resort, she is an absolute credit to your company. She really cared about each guest, taking time to chat to all of us, take pictures, making sure we were all ok at all times. My husband was a bit under the weather whilst we were there and she constantly checked how he was doing. She also personally dropped in a packet of gluten free biscuits to my husband. She went above and beyond her duties, in our opinion and we would personally like to ensure she is given this feedback and any recognition from your company that is appropriate. Everything was perfect. Husky sledding - just such a novel, exhilarating experience on a beautiful day. A fabulous place, the whole experience was so good. From being collected at the airport, to the arrangements of the activities everything went smoothly. The guides were excellent and made the holiday. They were knowledgable, helpful, enthusiastic. They just wanted to show off the resort and their skills, a real credit to the hotel. Read more credit to the company, they all had their own quirks, stories and are clearly knowledgeable in all things outdoors. There is not a lot more to say really, other than thank you and rest assured we will be speaking very highly of the experience we had and recommending you to everyone (a few have already asked me about booking up for next year). We will be back to have another adventure with you guys soon! Thanks again. Thank you to the chefs for excellent food and cheerful service. Thank you to everyone. The guides Ben, Johnny, Nils, Anthony and Pim were extremely knowledgeable, friendly and oozed enthusiasm . Huskies were fantastic, although one ate my phone! Snow shoeing was brilliant and we got to see the lights! All the guides were great, food was delicious, wonderful holiday. Can't think of any areas where it could be improved. Hard to choose (a favourite activity) - but the husky sledding was incredible as I'm a 'dog person'. I was surprised how much i enjoyed the snowshoeing, we had perfect weather and our guide Emmi was very knowledgeable. The scenery was incredible. The reindeer day was also great, the day was jam-packed and we loved every second of it. It was all great but if I had to pick (a favourite activity) it would be the husky safari. Johnny and Anthony were fantastic reps, really a credit to the hotel. The entire experience was truly phenomenal from start to finish. 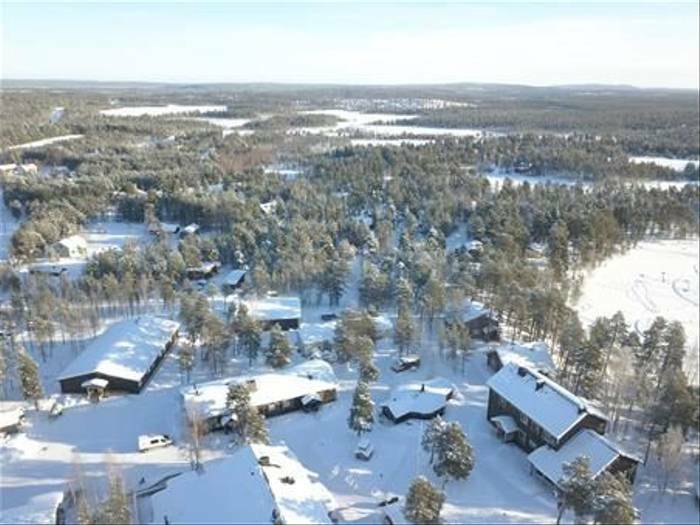 The sales team were helpful, patient and incredibly knowledgeable, and that is before we had even arrived in Finland. It was genuinely one of the most special and memorable trips we have ever taken and could not recommend The Aurora Zone enough. Read more us to make our connections from London to the US. 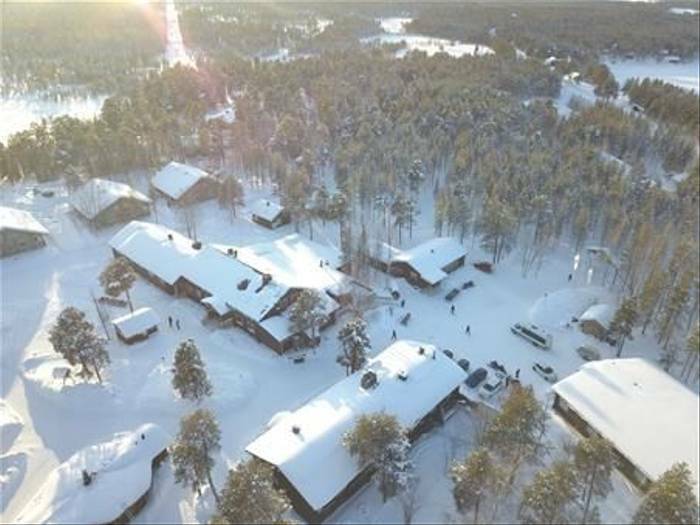 In the end, we were able to enjoy the entire time at Nellim and were not penalized because of needing to change our Finnair flights and the days spent at Nellim. Thanks so much! Read more good use of the time we had. All the activities were a good amount of time so we really got the best of the experiences. Food was great. I'm quite fussy and don't eat fish but didn't struggle for choices. I really liked that the group sizes were small. We never had more than 10 in our group which was perfect. This was a gift for my husband's 30th birthday and he had the best birthday ever. It was so easy to do all the admin on the own and every time I had a question you answered it. The trip was amazing and really once in a life time experience. All the Guides we had were great, loved snowmobiling and husky safari. Thank you for your help with this adventure. What an amazing holiday. We were lucky enough to see the Aurora within hours of arriving. All the equipment/food and arranged activities were first class. Ben was a brilliant guide who really made it special. The Husky trip has to be the highlight - a truly magical experience. One item ticked off from our bucket list that should be top of everyone’s list! I loved all the activities but if I had to pick one it would be the husky sleds. A unique experience, very thrilling and we were lucky to have a beautiful sunny morning. Husky safari - most fun & the activity we felt most involved/in control with. Able to see the scenery as well as enjoy the activity. Was also amazing to see & interact with the dogs (especially the puppies). Read more when it's so cold. I loved all the activities but if I had to pick one it would be the husky sleds. A unique experience, very thrilling and we were lucky to have a beautiful sunny morning. 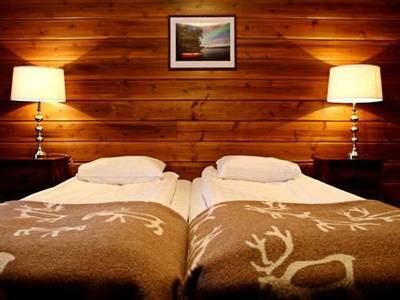 The Nellim Wilderness Hotel/Lodge is very cosy and the rooms are very spacious and comfortable. The food was of an excellent standard and plentiful. A holiday of a lifetime and one to remember forever. Read more were brilliant, starting with the extremely enjoyable afternoon driving our team of huskies. My daughter was totally in her element! We had a go at cross-country skiing around the lake, I managed to only fall over once! The snowshoeing was a lovely experience, seeing all the local landscape and wildlife up close, and the snowmobiling all a lot of fun. 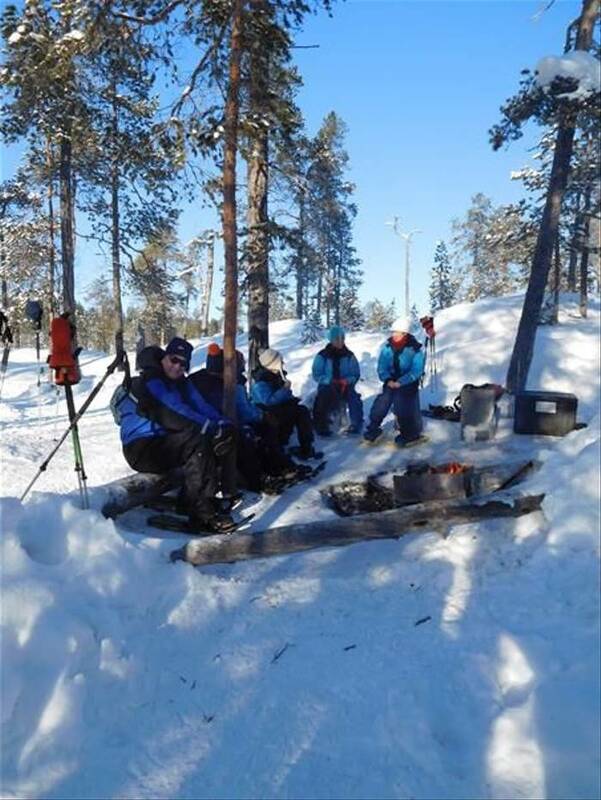 We loved the Aurora camp outings with the log fires and hot drinks, and our day visiting the reindeer farm, local church, beautiful lunch spot by the log flume and the ice fishing, made all the more interesting by Toni's in-depth knowledge of the area and history of Lapland. To highlight it all, we did see the wonderful Northern Lights, not only on our first night but again on our last night. How lucky was that!! I would also like to say thank you to our representative, Dan, who was always there to see us off and welcome us home and able to help with any enquiries. I was lucky enough to be his passenger on the snowmobile on our last day out too! Fabulous holiday full of activities. Very knowledgeable guides. Cannot say - more loved every minute. Outstanding place. Great hotel, people and activities. Highly recommended. Read more - all great. The guides were amazing and so were the activities. We totally appreciated the organization and the lovely people we met along the way. Aside from the Aurora we loved, loved, loved the dog sled - although we also loved...well, everything. Read more Every aspect of it was wonderful and we have been raving about it to anyone and everyone!! We absolutely loved the whole experience. Read more to ice fish. Loved every part of it. Going home was the least enjoyable thing!! The destination was great and hotel staff were lovely and made a great effort. Everything from start to finish was amazing - from booking advice to actually being there!! First class!!! Have been recommending to everyone I know!! Husky safari was a definite winner, closely followed by the snowshoeing - Loved it all!!!! The food was amazing, staff at the hotel were brilliant; easily the best holiday I've ever had!!! Fantastic 4-day break. Really is a trip of a lifetime. The hotel was great, the safaris are 1st class and the guides are very knowledgeable about the area Nothing is too much trouble - absolutely great. We were so lucky to see such an amazing Northern Lights display on 3 nights. Also enjoyed all activities - hard to pick a favourite. Read more phenomenon. Closely followed by the husky sleigh ride. Our trip was beyond expectation. From initial enquiry, airport arrival to departure, everything was well organised, by people who understand travellers. After a long day travelling, dinner first, then short helpful briefing, unpack, then let the holiday begin and wow what an experience! Hard to single out a favourite activity, the Husky ride probably just pipped the others, maybe because we are dog owners, the sound the dogs made as we were waiting to set off was fantastic. The Northern Light show on Jan 21st was breathtaking. A great trip to start the year, we are already planning to come back. We enjoyed everything we did, but I did like the husky ride - could have done that all day! Read more there to help if you ever needed it. Fantastic holiday - great mix of activities and downtime. Equipment was all high quality and the staff were really friendly. The husky safari - was exhilarating (but cold!). Enjoyed it all. Thank you for a great holiday. Staff and guides at Nellim Wildness Hotel are wonderful; very professional and thoughtful. Not only are they knowledgeable and helpful but also really friendly and approachable. I would love to be able to provide some constructive feedback but everything was fantastic. I have already sent web links to all my colleagues, four of them I know are seriously thinking about it. What wasn't enjoyable? We loved all of it. There isn't anything at all I would change. Brilliant holiday! The guides made the holiday very special. Their knowledge was very impressive and they were always willing and went out of their way to give us the best experience. Excellent holiday, very well organised from start to finish, with friendly and enthusiastic guides and a perfect location. The huskies were the highlight, but all the activities were great one-off experiences - and we were lucky enough to see the Northern Lights! Our group of 5 60+ people are well travelled but had never been on this kind of activity holiday before so we were a little unsure about it all at the start. But we absolutely loved it and thought it was great value for money. It was undoubtedly one of the best holidays we have ever had - and still would have been even if we had not also sighted the Lights - the icing on a magnificent cake! Amazing from the first inquiry and right the way through. Ben who was our contact at Nelim was lovely. Had an absolutely fantastic time. Made some great friends and I would most definitely recommend you and use you again. Everyone was extremely friendly, accommodating, relaxed and passionate about being there. One of the best holidays we've had. Best holiday ever; now how can I top that? Excelled all expectations. Up near the top for holiday experiences. It's was an amazing holiday. I would hate to see it get over commercialised. It's perfect as it is. A really wilderness experience. Read more whose name escapes me. The husky day has to be up there due to the unique experience, the quietness, only hearing crunching snow and breathing of the huskies. Each guide we felt safe with. Enjoyed every moment - thank you all. Brilliant holiday thanks, and one that we will be recommending to all of our friends. Absolutely fabulous!!! Everything was amazing!!! You can't improve perfect!!!! This was the most amazing holiday I have ever had. So well organised, the most amazing destination and I would like to send a massive thank you to our wonderful guide Ben Murgatroyd he looked after us so much he made us feel like family. Thank you Ben!!!!!! I will definitely be recommending your company to EVERYONE. Hotel warm and welcoming. Beds very comfortable. Activities well organised and guides very helpful, knowledgeable and fun! Seeing the Northern Lights was amazing. Snowmobiling and dog sledding was great fun too as we were able to explore the wilderness. We enjoyed every minute of the holiday. We were very lucky and saw the lights two nights running. The guides were excellent and very enthusiastic. Read more don't spend 15 minutes and take photos with huskies for example, you go for a ride for 1,5hours. It has cons and pros of course. But we liked it. Read more trip. There were no activities that I didn't enjoy. Read more beloved and see if I have more luck! The accommodation and food were excellent and the trips were exhilarating, well-organised and safe. I never expected to see an indignant husky but that's the expression we got every time we used the brake - they seemed to want to run for ever. The clouds lifted and the Northern Lights kicked off in glorious fashion on our first night and the following two as well, finishing with an impressive display right over the hotel! At the end we left with new friends and vivid memories and hope to return soon. The sled and husky driving experience was fantastic because the opportunity to drive your own sled pulled by huskies happens once in a lifetime. The dogs were great and even sitting in the sled while my husband was in control was amazing because I could take pictures of everything around me. Overall my husband and I had a fantastic break and we saw the lights every night. The trip was extremely well organised and successful for us in every way. We would comment that the group size (10) was perfect and think that 12 would be a maximum number to get the full benefit of all the activities, bearing in mind the amount of time needed to prepare for those activities. All the activities were enjoyable but especially the Aurora camps because we were lucky enough to see spectacular light displays. Perfect holiday. We had a great time and enjoyed all the activities. Seeing the Northern Lights was probably the highlight but if we hadn't seen the Lights we would still have considered it a terrific holiday. Read more local guides, Jonah, and the big Finnish gentleman, who took us out to the Aurora huts at night were fantastic. Both were warm, friendly, had great stories, humour, and had a shy presence, which was truly a gift for us! We experienced, first hand, what growing up and living in such a beautiful place is for them. Read more with stories and anecdotes, and whipped up a campfire and lunch in no time at all. Loved the berry juice. Most enjoyable activities were Huskies and Snowmobiles! We loved meeting the huskies and riding with them. Especially the snuggles afterwards. Driving the snowmobiles was fun too. There was no least enjoyable activity - (we) loved it all. Read more of us knew what to expect and the dogs seemed very well looked after and willing to run. Also, a special mention for Jukka - who was with us for four of our activities. He was very informative and looked after us well. Honestly, this was the best holiday we have had! The food, accommodation, the special warm suits, the hotel staff and the activity guides were all excellent! We didn't want to come home and are already talking about if we can go back. Enjoyed the husky sledding and snowmobiling was so different to anything I've experienced before. There was nothing I didn't enjoy. It was great that so many of the local guides were from the area we were visiting, that extra depth of knowledge from being raised there was really interesting. Read more to keep us warm and the amazing juice that they always heat up for us. It will be perfect if there is a official photographer who can assist with the photo taking with the Northern Lights. Every activity was well planned and enjoyable. We managed to learn how to snowmobile which is something we will never get to experience in our country. Definitely my best trip ever! Read more very fortunate to see some amazing displays including managing to capture a few shooting stars in some of our pictures! Read more thought. Everyone was so helpful and friendly. The activity guides were brilliant and very knowledgeable. Great trip, some fantastic views of the Aurora , if bitterly cold. Of the four nights viewing the Aurora we saw two very good displays and two weaker ones but were visible. We enjoyed all of it, but especially the husky sledging. There wasn't anything we didn't enjoy. Keep it the same. We found the mix of activities and down time just right, as was the group size. Your rep was excellent, always around, and very helpful without being 'in your face', and the local guides were very knowledgeable and friendly. Read more We will be going back and would recommend the holiday to anyone even thinking of going. I would like to rate the Activity Guides as better than excellent. They really made each outing special and without making it seem that they were just dragging another group of clients around. They were also very happy to answer questions and share knowledge of the Aurora and Lapland in general. We were thrilled with the whole experience from booking through to getting home! Best holiday we've ever had! Saw the Aurora on two nights! Absolutely loved the relaxed and informal style of the hotel and the staff were extremely helpful and smiley. Really nice feel to the place. Husky safari with Yari near Ivalo (the hotel dogs were tired) felt really close to the environment working in partnership with the dogs who really enjoyed it! It was all fantastic - a stunning holiday with outstanding local support. Jouko and his team were fantastic. This was our best holiday ever. The accommodation was excellent - very surprised at how comfortable the glass igloo actually was - the standard exceeded expectations. The standard (of accommodation at Nellim) was good and the staff and guides brilliant. (We) enjoyed every minute - had a fantastic time - enjoyed everything. Thank you for a truly wonderful holiday and experience. Read more basic - but it was wholesome, tasty and there was a lot of it. It was all a marvellous experience! All the dog sledding with the best looking and best cared for huskies we have ever experienced.